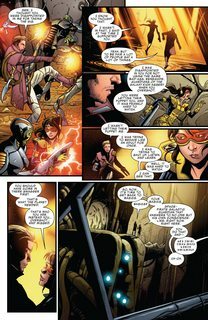 Guardians of the Galaxy – New Guard Vol. 2 – Wanted (TPB) (2016) : Peter Quill, a.k.a. Star-Lord, returns to the fold! But what does that mean for Kitty Pryde, a.k.a. Star-Lord? 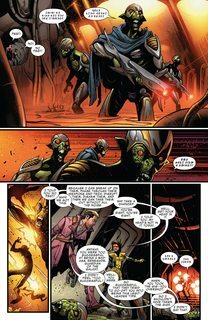 Is the Marvel Universe big enough for two Star-Lords? Find out as the Guardians face a new Galactic order! The Thing might miss some things about Earth, but he does admit that space has its perks. Like riding alien horses into action as Ben Grimm: Space Barbarian! Venom and Groot get in way over their heads fighting Skrulls — and everyone knows when Bendis writes Skrulls, it’s bad news! 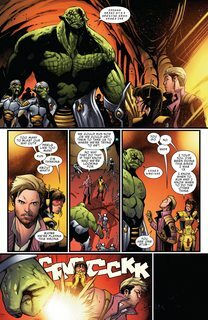 The galaxy’s two deadliest warriors, Gamora and Drax, take the fight to the Badoon! And Angela makes her dramatic return! They’re the galaxy’s most wanted, but they’ll still guard it all the same! Collecting GUARDIANS OF THE GALAXY (2015) #6-10. Update : Aug 19th, 2018 – Replace with fixed files.